Trouble with the Hulk: row over writing credit causes major headache. 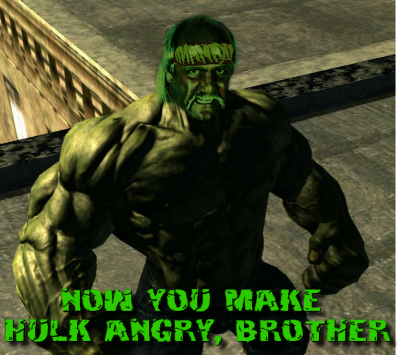 After WGA arbitration ruled that Ed Norton shall receive neither story nor writing credit on his version of The Incredible Hulk, despite the fact that all reports say he did significant work in both of those areas, he is understandably pissed. Sources tell me that he now wants his name and likeness removed from the project altogether, which is a pretty tall order with the movie on the verge of release. Animators are working overtime to digitally replace Norton with someone else before the premiere, so some of the digital editing will be understandably shoddy.